TAX Season is Here! Along with the Tax Phishing Scams! Most of the United States are very eager to receive their well deserved tax return during tax season, although are you educated enough to avoid the dangerously growing tax phishing scams? 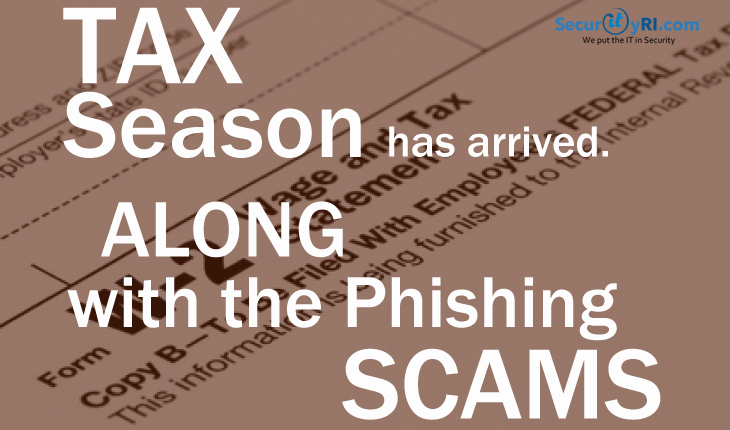 First off, you must understand what and how tax phishing scams & cyber attacks work. Phishing is a scam typically carried out through unsolicited email and/or websites that pose as legitimate sites (IRS, for example) and lure unsuspecting victims to provide personal and financial information. 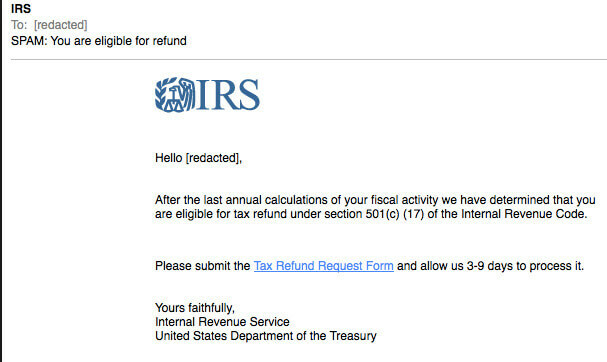 How can I avoid Tax Phishing Scams? 2. Delete the e-mail / move to spam folder or block the sender – The IRS doesn’t initiate contact with taxpayers by email, text messages or social media to request personal or financial information. This includes requests for PIN numbers, passwords, or similar access information for credit cards, banks or financial accounts. 4. Phone Calls – if you receive IRS phone calls, make sure you call 1-800-366-4484 to determine if the caller is an IRS employee with a legitimate request. Generic email salutations, such as “Dear valued customer,” instead of your name. Or the web address may be something like “secure-paypal.com” instead of PayPal’s actual URL.